100,000 years ago we harnessed fire, which led to language. 10,000 years ago we developed agriculture, which led to cities and warfare. 5,000 years ago we invented the wheel and writing, which led to the nation state. We are now on the doorstep of a fourth change brought about by two technologies: AI and robotics. 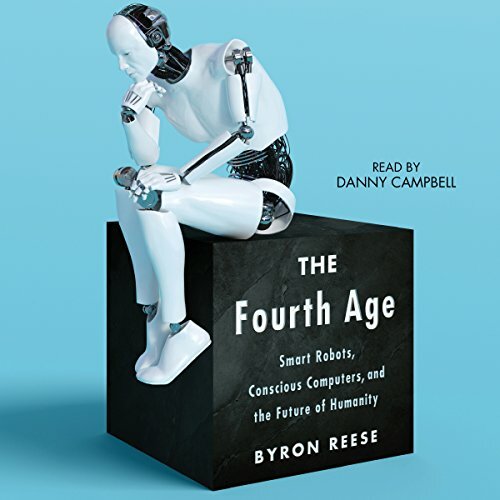 The Fourth Age provides extraordinary background information on how we got to this point and how - rather than what - we should think about the topics we’ll soon all be facing: machine consciousness, automation, employment, creative computers, radical life extension, artificial life, AI ethics, the future of warfare, superintelligence, and the implications of extreme prosperity. 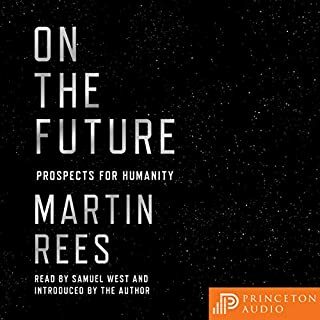 By asking questions like “are you a machine?” and “could a computer feel anything?”, Reese leads you through a discussion along the cutting edge in robotics and AI and provides a framework by which we can all understand, discuss, and act on the issues of the Fourth Age and how they’ll transform humanity. ©2018 Byron Reese. All rights reserved. (P)2018 Simon & Schuster, Inc. All rights reserved. Now that I'm through Fourth Age, I'm sad it's over. The book is a journey through philosophy of mind and human potential. Really enjoyed it. What did you love best about The Fourth Age? I am about a 3rd of the way through the book. 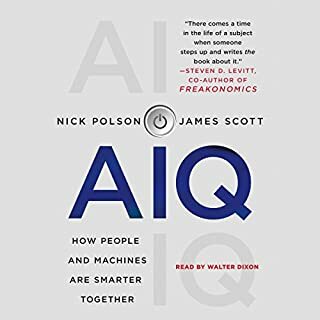 I really like how the book gives a perspective of big history and tells a 100,000 year history of AI. 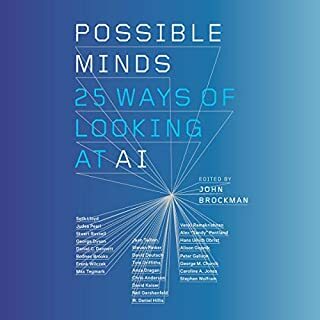 I have read a number of AI books and this book complements those books very well. 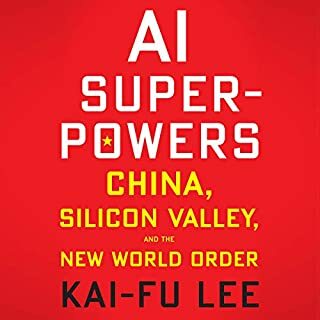 Great book to start with for A.I. newbies!! I knew pretty much nothing about A.I. before listening to this audiobook and now feel completely equipped to have an intelligent conversation. Reese breaks everything down into small, logical steps for the reader/listener to understand. He also proposes most (if not all) the varying opinions for the “experts” within the A.I. industry so you can come to form your own opinion on the topic. Overall great listen/read. I’m going to re-listen and take some more notes. This book was fascinating. Full of many facts and thought provoking ideas. 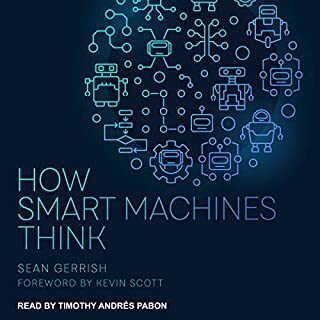 A great book if you like technology and computers. loved it. a great read . Can recommend. many new thoughts on the whole AI concept. 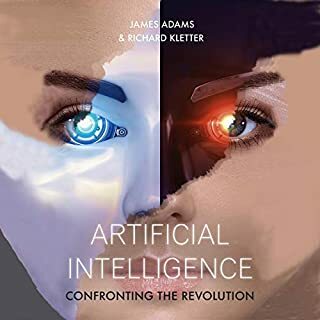 One of the best, most thought provoking books I've ever read - a well structured guide to examining the current state of AI against a historical context along with a framework for considering it's future. A MUST read for just about anyone. Mostly well done but somewhat lacking in details. Takes some time to adjusted to the narrator, although all told fairly acceptable listening to it. One of the best books I’ve ever read form one who is surprising well informed. He puts technology in its proper place as opposed to sensationalism of modern media. His view of humanity at its nature is inspiring. There is a lot of information but the book is packed full of interesting research that assists in clarifying some of the thinking. The author presents multiple alternative views so this book is not about him trying to push his view. A must read. As terrifying as it is hopeful. If you desire to be immortal, do something of lasting benefit to all humanity. It was interesting and easy to go through, with practical examples and logic ideas. Good read. A book with real potential of changing mindsets. Easy to understand yet deep and thoughtful. A real gem. A book not withstanding its subtitle, a book uncovering what it means to be human.Not an easy task to undertake. But a task I would say achieved with conspicuous talent.